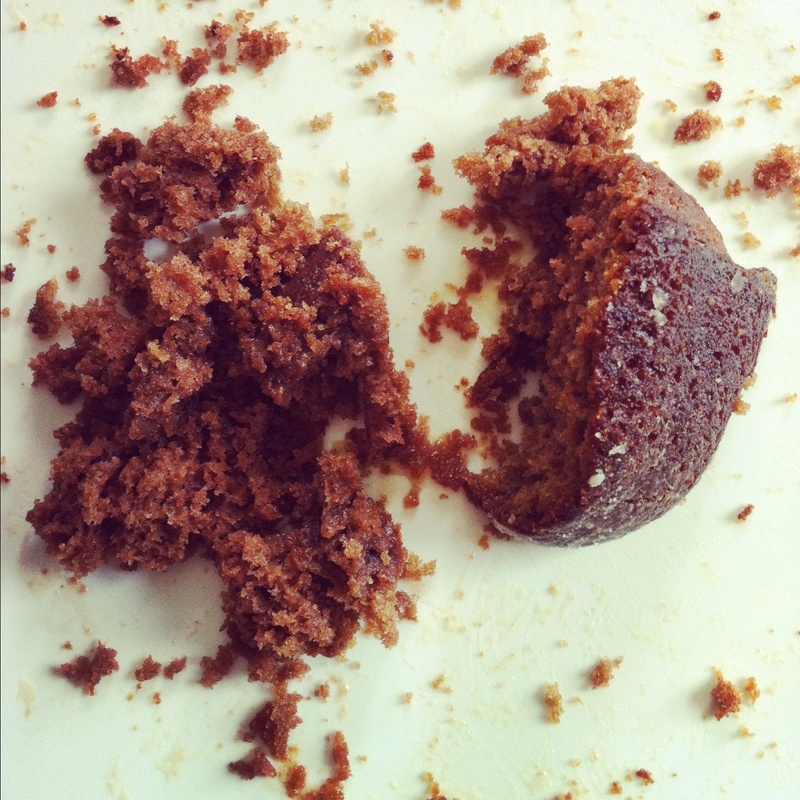 If you’re wondering what the above photo is all about, it’s the leftovers from a Kahlúa Bundt cake I made yesterday for a company potluck in honor of Cinco de Mayo. (I suppose it was technically Quatro de Mayo, but oh well.) As you can see, I clearly forgot to take a picture of the cake in all its glory before everyone tore into it, but I managed to salvage a small slice and some additional crumbs for Dr. J, who didn’t get to sample it before I brought it into the office. I hate to brag, but it was the bomb, and I’m pretty sure everyone wasn’t just saying it was delicious just so my feelings wouldn’t get hurt. So, as you can see, the picture above may not be the prettiest, but it’s proof that this cake can be easily decimated in no time flat. It’s moist, richly flavored with one of Mexico’s finest spirits, and had the perfect glaze that tied everything together. Here’s the recipe, which may also be called a Black Russian cake if you’re celebrating a Russian holiday. (Defender of the Fatherland Day, anyone?) Feel free to make it as boozy as you wish. 1) Heat oven to 350 °F. 2) Use the paper wrapper from the stick of butter for the glaze to grease a 12-cup Bundt pan. Sprinkle the pan with a little flour to make it easier to pop the cake out of the pan once it’s done. 3) In a mixing bowl, combine the cake mix, pudding mix, eggs, oil, water, vodka and Kahlúa, and beat everything for 10 minutes by hand or five minutes with an electric mixer. 4) Pour the mix into the Bundt pan, and bake for 50 to 55 minutes, or until a toothpick inserted into the cake comes out clean. 5) While the cake is baking, make the glaze, Combine the sugar, butter and water in a small saucepan and bring the mixture to a boil and stir until the sugar dissolves. Remove the glaze from heat and cool it slightly before mixing in the vodka and Kahlúa. 5) Once the cake is finished baking, cool it in the pan for 5 minutes, invert on wire rack to cool, then poke holes in it using a chopstick. Pour the glaze slowly over the cake, making sure every bit of it is saturated. 6) Just before serving, sift a bit of confectioner’s sugar over the cake to make it pretty. This cake would also be perfect for a Big Lebowski party. Just give the glaze a White Russian-inspired twist, substituting the 1/4 c. water with 1/4 c. whole milk.